Rowdy Yates, Dirty Harry, Thunderbolt, Philo Beddoe, Josey Wales, Bronco Billy, and William Munny are some of the film characters Clint Eastwood has played and which I have seen between two and a dozen or more times each. They are all unforgettable in my mind. He is without question my favorite actor and director. The world he has lived in both in terms of geography and culture, I have shared. 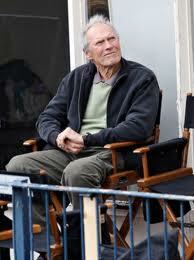 Clint is a man twelve years older than I am, and perhaps, like me, he is wondering how much more time he has left. On October 20, 2010, my wife Katie and I saw the movie at a theater in San Rafael after reading two reviews of the film earlier in the day. I was fairly certain I would write as essay based on the film, exposing the theological error that I was certain I would find. The film was superb in every way, a real masterpiece. The acting, script, story, special effects, and camera work, among other aspects—it was all captivating. Theme: conscious life after death? The film’s major theme was whether there is a continuation of conscious life after death. After being a pastor of Christian churches for more than four decades I can understand the things that run through most people’s minds when they realize that their personal end is looming, and I can well imagine that Clint Eastwood might have an interest in the subject. A Christian world view was not in evidence in Hereafter. And that is not surprising. If I had not been suddenly and convincingly converted some forty-seven years ago, I might possibly have investigated reports of near death experiences and mediumistic contact with spirits of the dead. After all, before my encounter with Jesus Christ I was quite interested in Edgar Cayce, Bridie Murphy, and all things to do with UFOs and aliens. If I had known where to find a medium, psychic, or palm reader, I might have been tempted to find out what they had to offer a young inquiring mind. It was only after becoming acquainted with Scripture that I learned about the occult—everything in magic and witchcraft to spiritualism that has to do with mediums or psychics making contact with the departed. The Bible has much to say about fortune telling and mediumistic activity, and it takes it all seriously. 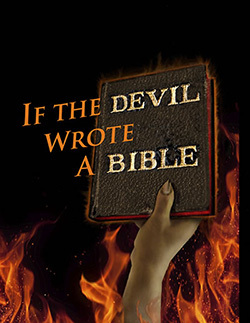 Without presenting particular passages which demonstrate what I am writing about, I will keep it simple and summarize my view—the demonic realm works ceaselessly as a clever counterfeit or alternative to the life of grace and faith we find in the Messiah. The point is to subtly lead people away from Jesus who is eternal life in person and who is the only way to that life. Clint Eastwood and millions of others are hoping that the grave is not the end and are especially looking for assurance that the judgment and hell Christians talk about is complete garbage. They are desperate to find another way, not of a religious nature as we think of religion, but something that is both plausible and possible and, most of all, without strings attached. The character of George, a hesitant reader or psychic, is played by Matt Damon, and toward the very end of the film, he reluctantly agrees to contact the tragically killed twin of the young boy Markus. The dead twin Jason informs Markus from the “hereafter” that his was the invisible hand that had knocked off his brother’s hat on the loading platform of the London Underground while Markus was desperately trying to board a train. A frantic search for the hat causes Markus to miss his train, which meets with disaster and a great loss of life moments later. George, in revealing this concrete contact of the dead with the living shows Markus that he is not a manipulating trickster and is therefore worthy of his trust. The story line is plain—there is conscious life after death, and that life is far grander than anything a human living on the planet has ever experienced. Proof now that Jason is “alive” and can speak with him comforts Markus. I found myself smiling as well, and I will wager most of the other movie goers had a similar warm glow about them. Was the film simply entertainment or did it also have a message? To put it another way, was Eastwood, the film’s director and producer, playing the role of a spiritualistic evangelist? Had he come to a conclusion about life and death and wanted to share that with an audience wider than Billy Graham would ever have garnered? From a pastoral perspective I cringed at the counsel given by the departed Jason to his twin brother Markus, advice that might be boiled down to “get over it.” Through psychic George, Jason encourages his brother and urges him to move on, though he will be with him every step of the way. Is this a comforting thought? What a burden for a young boy to carry: the spirit of his dead brother will be a constant companion, watching but not intervening any longer, but a continuous presence nevertheless. During my years as a pastor I have officiated at hundreds of funerals or memorial services. My experience has shown me that we human beings are especially vulnerable, emotionally and spiritually, when we lose a loved one, someone important in our lives. Life brings us loss after loss, and without proper rebuilding and recovery from the natural grief we experience, there is a spiritual and mental price to pay. And, it is at times when we are in the pain of loss that we are open to deception, more than we normally would be. We seem to lose our ability to bring sober evaluation to a situation, and thus we are open to being misled. My experience has been that psychics and mediums can take advantage of such situations. During the ten years that I operated the Marin Christian Counseling Center in San Rafael, California, people who had experienced loss, especially through death and divorce, required special and tender care, because they were overly influenced by suggestions and easy means to resolve their grief. My concern then, and the chief reason for this essay, is that people who have experienced traumatic loss through death especially not rush to the mediums and psychics for comfort.2 George knows himself that the supposed gift he has is really a curse and rejects the temptation to re-engage in it, for a time, until his compassion for a boy’s suffering breaks down his resolve. He comes close to expressing the premise of this essay—that in the broad scheme of things, it is far better that the dead be dead, which allows for us to recover and live our own lives. Life is grand and ugly all at once. It takes courage to face it full on. It is best to look to and rely upon the Maker of heaven and earth, who is the beginning and the end and who offers us eternal life, without strings, through His Son, Jesus Christ. 1 This essay will only make sense if the reader has seen the film Hereafter, or has read a detailed review of the film. 2 Jesus told a story about a rich man and his servant Lazarus. Both died, Lazarus was in Abraham’s Bosom, or heaven in the presence of God, while the rich man was in Hades, a place of torment where God was not present. The rich man wanted his former servant Lazarus to assist him in Hades. It would not be, however, and the reason given, as explained to the rich man was: “Between us and you a great chasm has been fixed, in order that those who would pass from here to you may not be able, and one may not cross from there to us” (Luke 16:26).